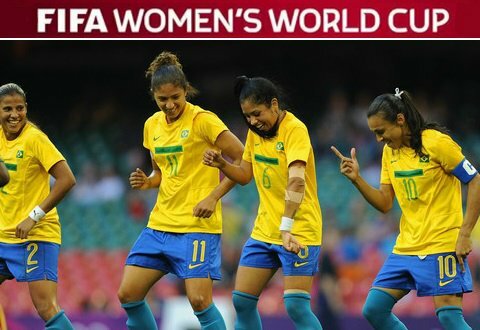 Brazil women’s football team will start their 2015 FIFA world cup campaign with a opening fixture against asian outfit South Korea who has qualified for the world cup for the first time since 2003. Brazil are odds on favourites going into the Group E match to be played on Tuesday at Olympic Stadium in Montreal starting 7:00 PM ET. FoxSPorts 1, TSN1 and EuroSport will have the live coverage of this game. Short Match Preview: Brazil women team is one of the most fearsome going forward in attack as they pose a trio of a threat in Marta, Cristiane, and Formiga who have 5 FIFA Women world player of the year awards. Probably one of the greatest women footballer in Marta who plays in attacking midfield role Brazil has goals guaranteed going forward. Marta has a career record with 91 goals in 92 appearances. As far as South Korea are concerned they are not world beaters but in last 4 years the team has improved alot with young bunch of girls playing footballer at top level. Last time around in 2003 they failed to qualify for the knockout stages and we can expect the same fate in this years competition as well. Because other two teams in the group are Spain and Costa Rica. updated, check now. its bit better quality but needs a better connection.